Analytics dashboards are invaluable, especially when integrated with quality marketing software and a reliable customer relationship management (CRM) system. While they provide different types of information to different teams, they bring a transparency that everyone in your business can appreciate, no matter whether they’re a marketer, salesperson, or executive. In an ideal world, dashboards will quantify that your marketing teams and sales teams have aligned seamlessly. Of course, you have to be measuring the right metrics for that to work. While these advanced metrics hold the teams accountable, they also serve as the perfect way to illustrate to management that the company is firing on all cylinders. Today’s analytics dashboards can be as simple or as customized as you want them to be. Your business—and the metrics you need—will dictate which ones will work best, and the level of detail that’s necessary. With newfound clarity surrounding the sales funnel and your inbound marketing channels, the following tips will save you time and keep your teams in lockstep. Create a shared dashboard: Establishing a shared dashboard for the respective teams gives every teammate the ability to track progress from a high level. With key performance indicators keeping everyone accountable, a shared dashboard can lead to shared success. Make the dashboard handy: No one will use the dashboard if it’s not easily accessible. It should also be as uncomplicated as possible, and completely functional. This ensures that teammates on both sides of the fence will utilize it daily. Establish a habit: This tip and the previous tip go hand-in-hand. Setting the expectation that the dashboard should be checked daily is important. Ideally, teammates viewing the dashboard will become a reflex, just as checking email or voicemails is. The best dashboard in the world won’t matter if no one is monitoring the data. Take a long-term and a short-term view: It’s a good idea to look at your metrics with both a microscope, and a telescope. By using your dashboard to measure daily, monthly, and annually, you’ll have a strong handle on how your goal-chasing is going over a variety of timeframes. Devise a service level agreement: Though a service level agreement (SLA) won’t live on a dashboard, it will grant the dashboard far more weight. This SLA should be created by both teams, and be designed to support both teams. This will create buy-in on both sides of the fence—for using the dashboard, and for hitting the key metrics. While this post is focused on sales and marketing alignment, it’s important to note that dashboards have a “trickle-up” effect as well. As we mentioned earlier, the transparency that dashboards allow also simplifies key data. Since most executives only want the nuts and bolts of team performance, your analytics dashboard for sales and marketing alignment should make pulling these sweat-inducing reports easier than ever before. 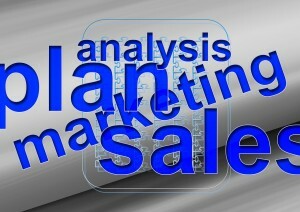 When the time arrives for sales and marketing teams to report to management, the heavy lifting has already been done. While the sales and marketing teams will dig deeper into the metrics provided by the dashboard, management probably won’t feel the need to get bogged down in all of that technical data. In reality, marketing is focused on key performance indicators, sales is focused on the funnel data, and then management will receive an overarching snapshot of both—and how they’re working in concert. While aligning your sales and marketing team will have a positive impact on your ROI, the way it ropes management objectively into the process will be worth its weight in gold. If you’re weighing whether or not to implement a dashboard, hopefully this concept of transparency has sold you on it completely. At best, from top to bottom your company will all be on the same page. At worst, your days of slogging through Excel spreadsheets will be over. Are you using a dashboard currently? We love to know which ones you’re using, and what metrics you’re measuring.